Ensuring personal data confidentiality of our website users is important for Lisbon Eco Tours. All personal information relating to ours members, customers or visitors who use the Lisbon Eco Tours will be treated in accordance with the Data Protection Law of Personal October 26, 1998 (Law 67/98). 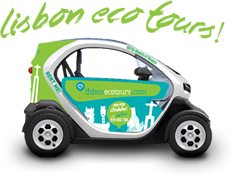 If the online booking did not get to be realized, Lisbon Eco Tours will only retain personal data provided expressly for commercial use, while the said consent is not revoked. The customer undertakes to read through the terms and conditions of the lease, before making any booking request.. The Lisbon Eco Tours informs also that can change without notice privacy policies, advising customers to check them.